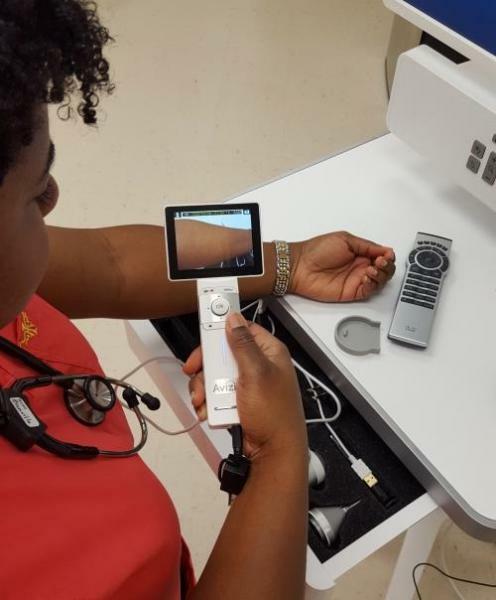 Arcadia, LA, Bienville Parish— Thursday March 7, 2019 —The Bienville Parish School Board and Bienville Family Clinic announced that the parish’s innovative school health Telemedicine program has won the National Rural Health Association’s 2019 award for Outstanding Rural Health Program. The Bienville Family Clinic-Bienville Parish School Board Telehealth Collaborative provides for medical visits for children who visit the school health center with illness at any of the Bienville Parish School System’s six (6) Campuses. Through implementation of specialized equipment facilitating a detailed examination, Bienville Family Clinic providers are able to diagnose illnesses, and thus are able to prescribe medications, as indicated. Students are “presented” to providers by Registered Nurses employed by the Bienville Parish School Board, who are present in the School Clinic, with the child. Services are provided at no cost to children or parents. Development of a school-based telehealth program in Bienville Parish began with the vision of Randy McKinney, NRHA member, Louisiana Rural Health Association board member and Facility Administrator of a rural health clinic in North Louisiana. Addressing school-aged children healthcare needs, the program forged collaborations with a hospital service district board, rural health clinic, and school district to bring healthcare services directly to six public K-12 schools. The Bienville Parish School District serves over 2200 students across 822 square miles. In 2016, Louisiana Health statistics for all 64 parishes placed Bienville Parish 59th in health outcomes and 43rd for health behaviors, clinical care, social and economic factors. Meeting the healthcare and economic needs of a rural region warranted consideration of long clinic travel times, families with limited transportation and innovative efficient use of existing resources. 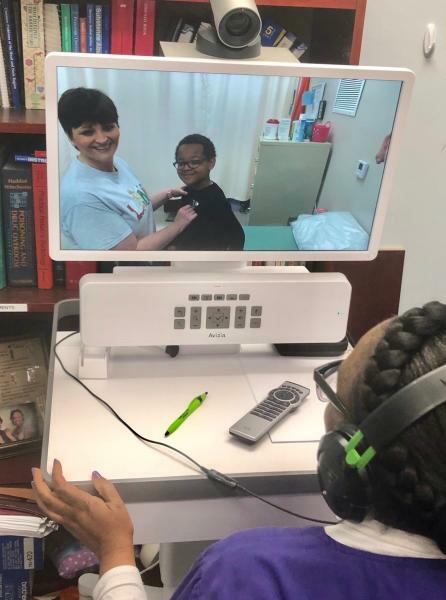 With funding from the hospital service district board, telehealth was implemented in each six school sites with Bienville Family Clinic serving as the site providing services of a board-certified pediatrician and family practice mid-level providers. This unique model emerged despite the lack of state funding and designation as a certified school-based health center. The program laid the groundwork to expand full-time school nurse services at each school site thereby grounding a robust school health program across the parish to support the telehealth program. In the 2016/2017 school year, Bienville Parish school nurses facilitated 627 telehealth visits across the parish through Bienville Family Clinic. By 2017/2018 school year, telehealth visits increased having 695 telehealth visits by school year’s end May 2018. While the majority of the visits are with school-aged children, school staff and teachers opted for telehealth care 40 times in 2018. An unintended benefit of the program saw increased Medicaid school billing reimbursement for the school district as a whole with full-time school nurse coverage. Parents and teachers have expressed overwhelming satisfaction and sense of pride in the program. Students are triaged, seen and treated in the comfort of their school nurse office. During the 2017/18 Louisiana flu outbreak, Bienville Schools never closed; (this was) attributed to the prompt identification and isolation of flu cases. School nurses state that follow-up with students is seamless when they are involved in the triage, diagnosis, and education following the telehealth visit. The telehealth program benefits teachers and staff by helping them maintain their monthly incentive “no absence” bonus and allows them to manage their time for work and family better. The program gives parents the option to either stay at work and participate in the telehealth visit remotely over the phone or come to the school campus. The Bienville School telehealth program has sparked interest and similar implementation in other rural school districts in Louisiana through state and national presentations. Serving as an innovative model for healthcare delivery, the program is a shining example of what rural does best- figuring out what works with our community resources and finding solutions to meet the needs of rural families. Randy D. McKinney, M.S., M.P.A.